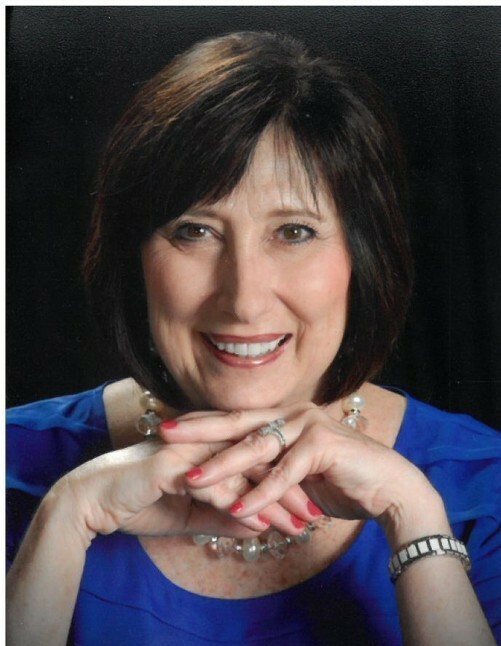 Obituary for Linda Wyatt | Sykes Funeral Home & Crematory, Inc.
Linda Brooks Wyatt, 63 of Clarksville, passed away surrounded by her family and friends on April 13, 2019. The funeral will be held at 2:00 PM Wednesday, April 17, 2019 at Sykes Funeral Home Chapel with Bro. Bob Hargrove and Bro. Craig Tate officiating. Burial will follow in Louise United Methodist Church Cemetery. The family will receive friends on Tuesday, April 16, 2019 from 2:00 PM until 7:00 PM and 11:00 AM Wednesday until the hour of service at the funeral home. Linda was born in Montgomery County, TN, to Melvin Earl and Betty Ruth “Ferry” Brooks, who preceded her in death. She is survived by Mike, her loving husband of 44 years, daughters, Linea (Frank) Adcock and Elizabeth (Charlie) Balthrop and grandchildren, Wyatt Balthrop, Margot Adcock and Brooks Balthrop. She is also survived by her mother-in-law, Mattie Wyatt and sisters, Doris Nave and Kathy (Gene) Morgan, as well as her beloved nieces. Linda, a 1973 graduate of Montgomery Central High School, was the co-owner of Wyatt’s Body Shop and a member of the Southside United Methodist Church. Linda was a devoted wife, mother, “Grammy”, sister, aunt and friend. Linda dedicated herself to her family and friends. She enjoyed traveling, especially an annual beach vacation with her girls, and she never missed a chance to browse in a boutique, in-store or online. Linda brought beauty and style to life around her; she had an eye for making everything picture perfect. After a 2010 cancer diagnosis, she battled the disease with courage and dignity. Always with a smile for a visitor or friend and never a complaint about her situation or the hardships and side effects cancer treatments cause. She was and her family will forever be grateful for Dr. Denise Yardley, MD of Tennessee Oncology, and Dr. Bill Grabenstein, MD and their staffs. Their expertise and care provided her nine additional years with family and friends as well as the precious opportunity to know sons-in-law and grandchildren. Pallbearers will be Gene Morgan, Ray Baggett, Greg Augustine, Randy Story, Charlie Balthrop, Frank Adcock, Chad Ward, Stewart Sykes and honorary, Wyatt Balthrop. In lieu of flowers, donations may be made to the Sarah Cannon Fund at The Community Foundation of Middle Tennessee (3833 Cleghorn Ave, Ste 400, Nashville, TN 37215) or St. Jude Children’s Research Hospital at GiftFunds.StJude.org/LindaWyatt. Please visit Linda’s guest book at SykesFuneralHome.com and share a memory with the family.